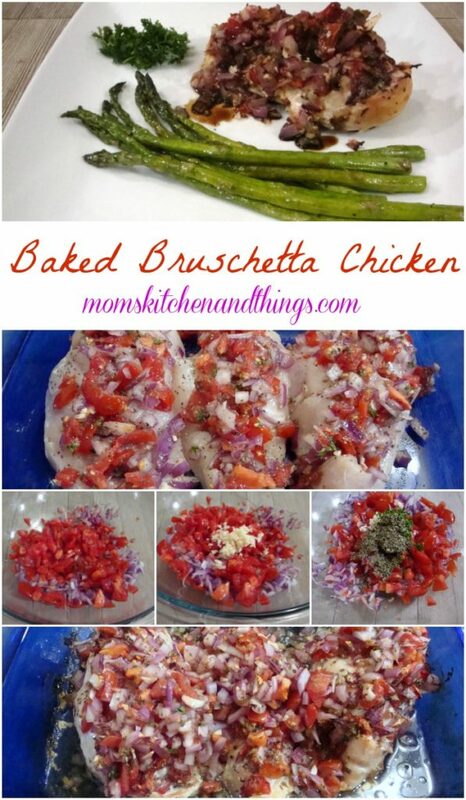 I absolutely love Bruschetta. It is a must have anytime Hubby & I get to sneak away to our favorite Italian Restaurant. So what is better than Bruschetta as an appetizer? 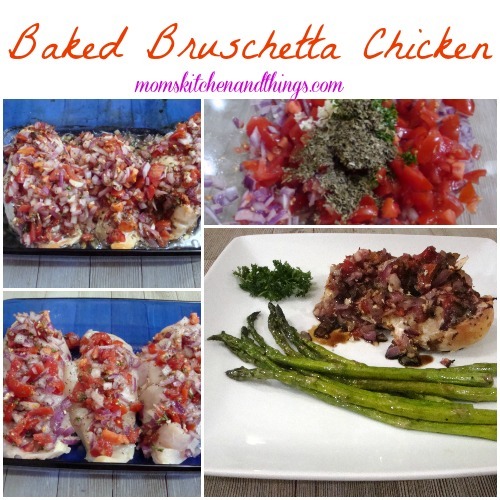 Bruschetta as a meal! 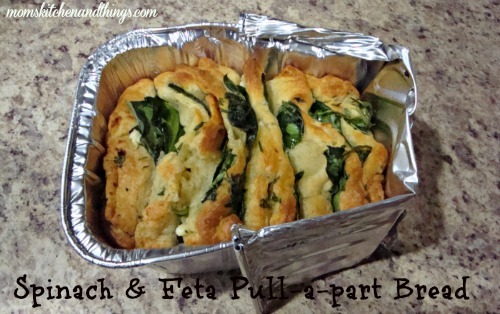 This was so delicious & super easy. 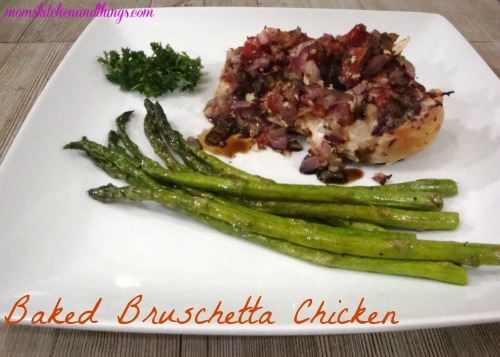 If you are a fan of Bruschetta you will love this dish!!! 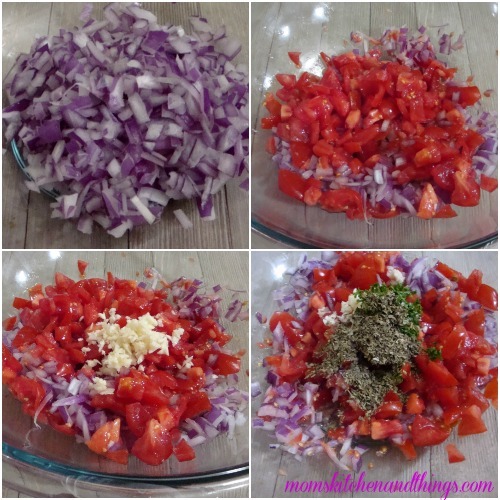 In a large bowl stir tomatoes, onions, parsley, & basil together until well combined. 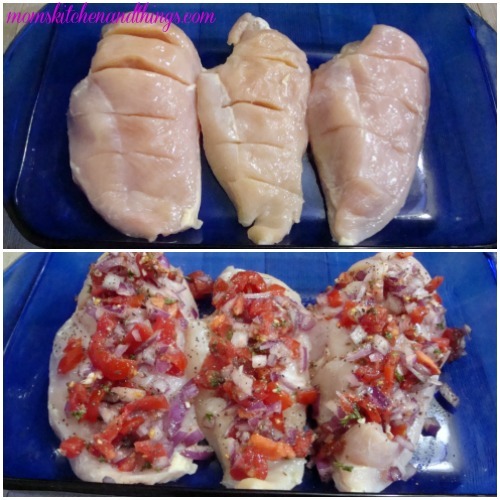 Cut slits on the tops of the chicken. 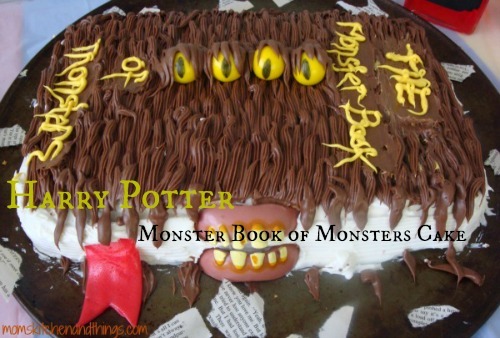 Go half way through. 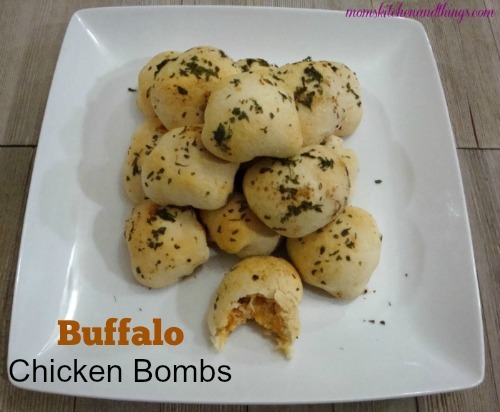 Place in a casserole dish. 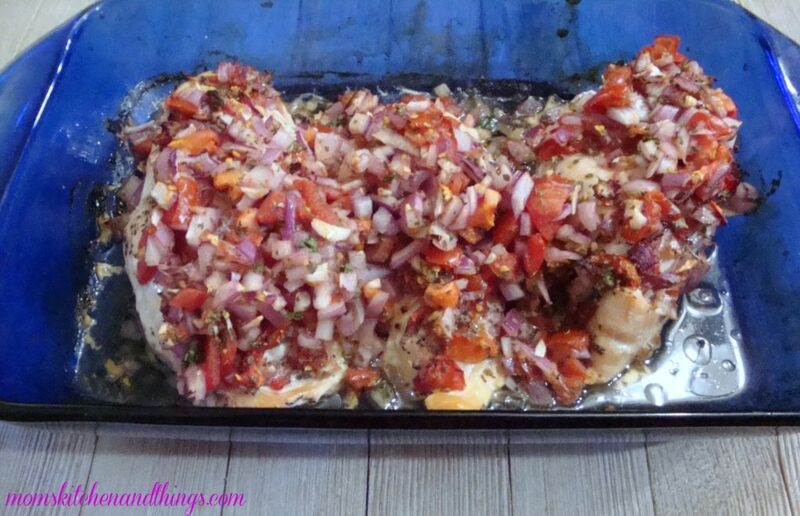 Using half of the mixture, spoon into the cuts & over the tops of the chicken. To make the sauce, combine the vinegar & brown sugar in a sauce pan. Bring boil over medium heat. Cook at medium-low for 15-20 minutes or until the mixture coats the back of a spoon. Add the rest of the mixture to the chicken & bake another 10 minutes. 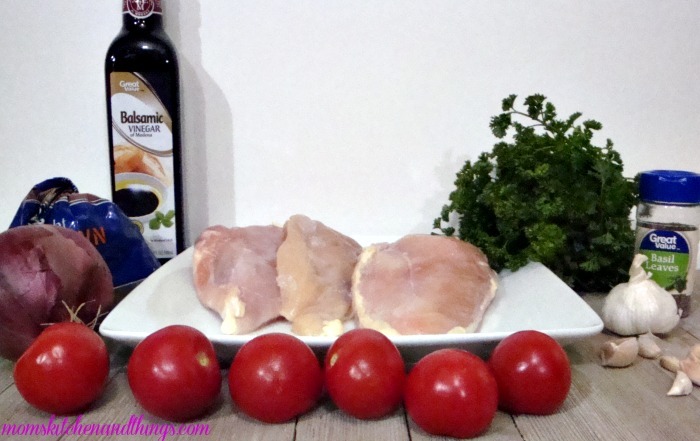 Drizzle the balsamic glaze over the chicken.